Includes One Year of Free Online Access to sortable ranking tables on the Grey House Online Platform, gold.greyhouse.com. Plus a link to this content can be added to your Salem Press landing page. This level of detail would be difficult and time-consuming to find without this handy, comprehensive resource. Complete Television, Radio & Cable Industry Guide is the go-to source for station data and industry contacts in the U.S. and Canadian television, radio and cable marketplace. It is the source that media executives, programming managers, and libraries across the country have relied on for up-to-date information for more than seven decades. In print for more than seven decades as Broadcasting Yearbook and more recently, Broadcasting & Cable Yearbook, this new edition of Complete Television, Radio & Cable Industry Guide offers immediate access to up-to-date data on over 20,000 company/station listings and over 72,000 executives. This title includes eight major sections, with the "big three" - television, radio, and cable - arguably the most detailed and significant. Comprehensive sections include market areas, call letter lists and station profiles. This guide includes professional services from producers and engineers to equipment manufacturers and legal services, plus those who consult and advocate for this diverse industry. The front matter of the 2019 edition includes industry statistics including lists of station transactions, top shows, and sales of TV receivers and HDTVs. User will also find a Chronology, Glossary, and "The FCC and Its Regulatory Authority." Two new articles start the television and radio sections: "Watch Out: The Fixes Are About To Upend Television As We Know It," and "The Infinite Dial: The Heavy Radio Listeners Report, April 2018." U.S. television starts with statistics that include ranking data, followed by detailed listings of national and regional networks, and group owners. TV stations are arranged by DMA (Designated Market Area). These station listings include dozens of technical details direct from the FCC, such as digital and virtual channel numbers, hours of operation, frequency, and antenna height. Corporate information follows — licensee, owner and network — plus names of important decision makers, such as President, Station Manager, Program Director and more. Informative lists of TV stations by call letters, list of U.S. stations, and more can be found at the end of this section. The U.S. radio section starts with a statistical summary, which is followed by detailed listings of national and regional radio networks, and group owners, all with key contact names. Listings are arranged by state of license, then city within the state. Like the television stations, these listings include dozens of technical details direct from the FCC. Users will find type of programming and special programming, including hours of news programming, and target audience. Long lists of key contacts and decision-makers follow. Following the detailed station listings is information on international radio, satellite radio, and call letters listed by AM, FM, and frequency. The U.S. radio section ends with detailed programming information – putting each radio station into one or more listening designations, from Adult Contemporary to Vietnamese. This programming index is followed by special programming, with specific details, like where to find a jazz station in Chicago on a Tuesday night. Comprehensive Canadian radio information follows the U.S. sections – including networks, group owners, detailed station listings, lists by call letters and frequency, and programming. The cable section starts with a variety of updated statistics on U.S. cable programming, followed by detailed listings of national and regional cable networks, with a separate section on regional cable sports networks. Cable data for Canada follows, with detailed listings of Canadian cable networks. This section also includes industry statistics. This edition includes ongoing changes as a result of the recent sale of CBS Radio stations to Entercom and others. We are following pending transactions between Disney and Fox, the restructuring of iHeartMedia, and the successful emergence of Cumlus from bankruptcy. 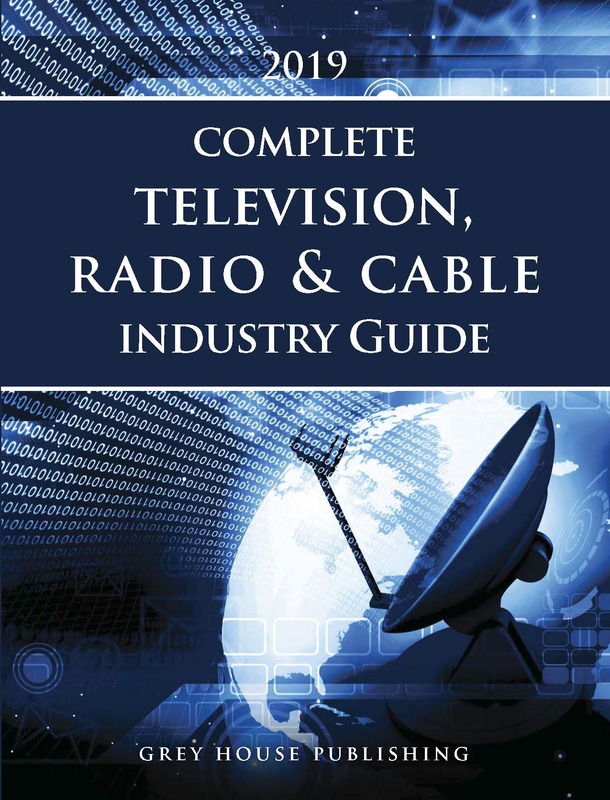 In addition to the detailed station listings, the Complete Television, Radio & Cable Industry Guide includes current, comprehensive information on those who provide services, materials and equipment to the industry. From major television syndicates to radio news services, from producers to distributors, from equipment manufacturers to cable audio services, this 2019 edition will help you find the product or service you need. This comprehensive guide also includes listings of employment services, technical consultants, legal services, and talent agents. There is a separate section on associations, trade shows and vocational schools and complete listings for the FCC and other regulatory agencies, as well as Canadian agency information. Your key to this dynamic industry in one, easy-to-use source, with valuable profiles, industry statistics, and comprehensive indexes, the Complete Television, Radio & Cable Industry Guide provides specifics of thousands of stations in the U.S. and Canada, including audience, programming and contact information, and further, includes sections on what schools offer industry training, and how to keep up on the latest industry regulations. For even easier access to this information, the Compete Television, Radio & Cable Industry Guide is available by subscription to our online database — G.O.L.D. For more information or a free trial, call 800-562-2139 or visit www.greyhouse.com/online_database#GOLD. Buyers of the print directory get one year of free online access, for even faster, easier access to this vast array of information. With online access, users can search by DMA, state and city of license, population served, group ownership, type of station, and so much more, Visit the site or call (800) 562-2139 to set up a free trial of the Online Database. Many of our directories are available in a database format that you can download into your own spreadsheet or database software. Using this downloadable database you can print out mailing labels, segment the database by geographic area for your sales team, print out prospect sheets and much more. Plus, you can customize the database to meet your own specific search criteria. Click on the here to download a datacard. Datacards outline pricing and ways in which you can segment the database. Contact our list manager at nambery@greyhouse.com or (800) 562-2139 x118 for up-to-the-minute counts or for more information. “ "For libraries serving users in the broadcasting industry or for anyone working in these fields, this is a valuable assemblage of a massive amount of information...Highly recommended." Since its first publication in 1992, this resource has been the premier reference book of choice for business researchers in a wide range of industries. 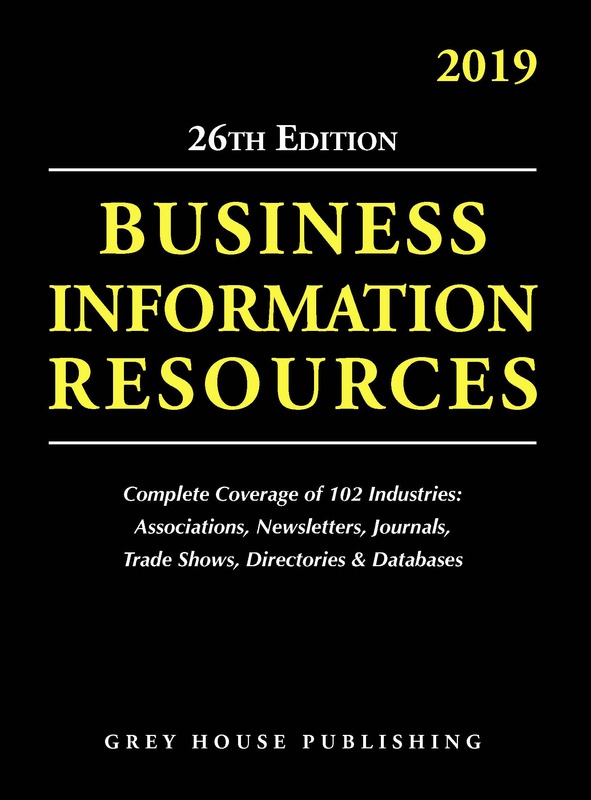 With comprehensive coverage of 102 industries, Business Information Resources provides ways for users to find new customers, increase customer loyalty, and improve the bottom line. 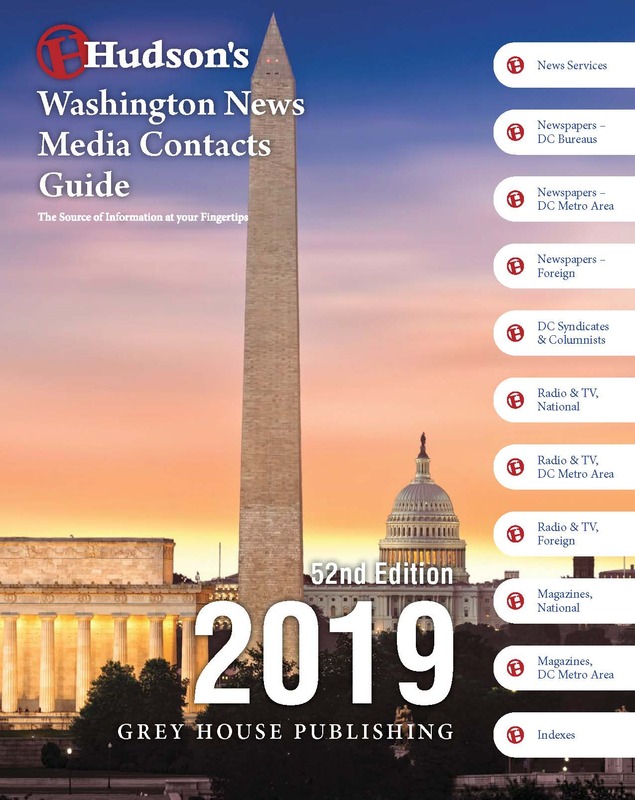 With 100% verification of data, Hudson’s Washington News Media Contacts Guide is the most accurate, most up-to-date source for media contacts in our nation’s capital. With the largest concentration of news media in the world, having access to Washington’s news media will get your message heard by these key media outlets. 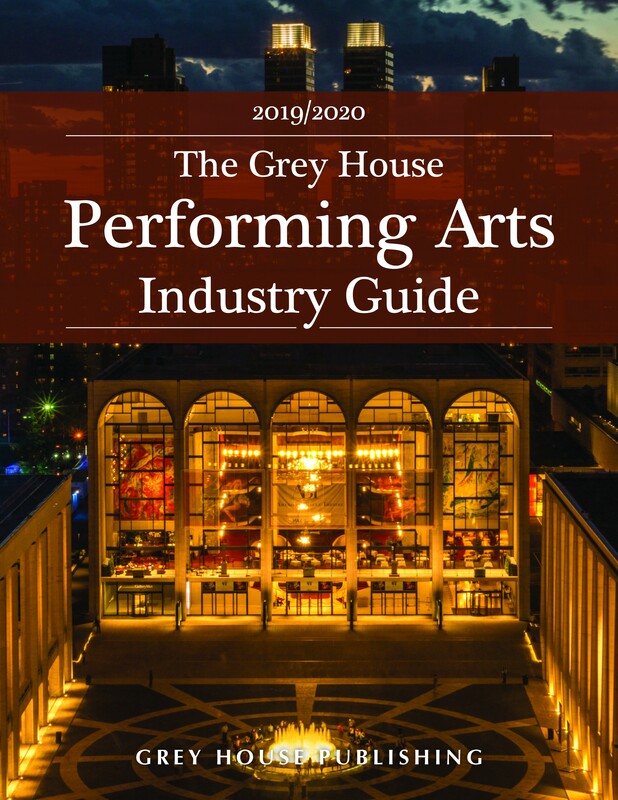 The Grey House Performing Arts Industry Guide offers unequaled coverage of the Performing Arts – over 9,412 listings – of the major performance Organizations, Facilities and Information Resources. This level of comprehensiveness is not available in any other directory on the market place today. 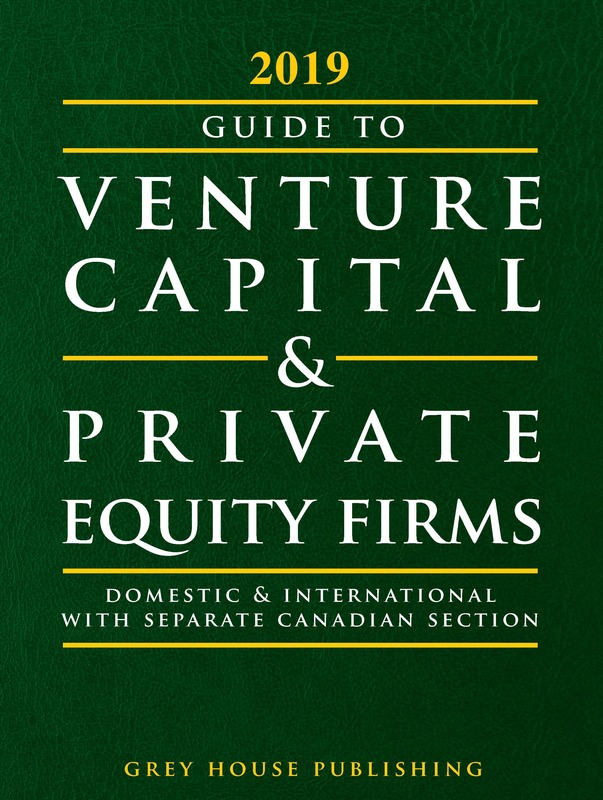 This useful resource has experienced over a decade of success, bringing together both venture capital and private equity organizations into one comprehensive guide. This new edition has been extensively updated, offering valuable, current, and detailed information to individuals, entrepreneurs, and businesses worldwide.